One event/occasion that I've always eager to come is the Ashville Days, I'm sure that my husband's family and a few friends will be visiting his mother's place to hang out and of course to witness a nice fireworks. His mother's place is very close to where the fireworks held. I don't remember if we missed it last year, but I'm pretty sure that this year's firework is quite fascinating. Although, they never have the waterfall fireworks or whatever they call it, still the whole show were amazing. 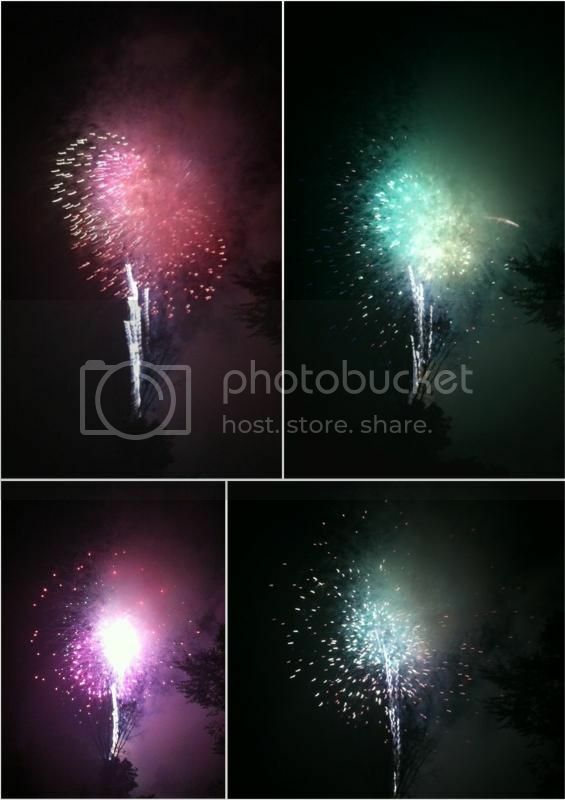 We were at my MIL's yard while witnessing those loud blasts of the fireworks and certainly we did smell the sulfur after. It was a fun night and it seems everyone had a great time. I captured a few of the fireworks after it was almost finished up as I don't want to miss most of the explosion with a picture taken.